President Muhammadu Buhari has attempted to denounce claims that his association with Governor Abdullahi Ganduje of Kano has diminished his commitment to the war against corruption. 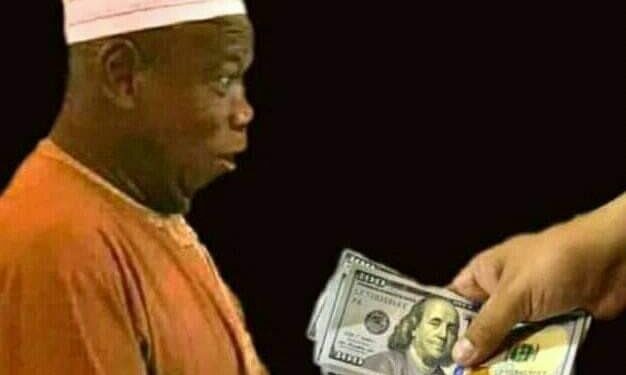 Governor Ganduje is enmeshed in bribery allegations after being caught in a series of video clips receiving dollars from contractors to Kano State. It is recollected that the Buhari government froze the accounts of then Ekiti state governor Ayodele Fayose. In the case of Ganduje of the APC however, Buhari has not only kept his hands off but even defends him and campaigns for his re-election. According to the statement, which followed comments after the proclamation by President Buhari of Mr Ganduje as the governorship candidate of the All Progressives Congress, at a rally in Kano, the presidency cited a number of high profile prosecution of senior government officials including a former Secretary to the Government and a former state governor who is a party member and now serving term in jail as indications of will and determination to wage the anti-corruption war without fear or favour. On the specific issue of Governor Ganduje of Kano State, the statement noted that Mr Ganduje, as a sitting governor, enjoys immunity from prosecution in his own right. Furthermore, under Nigerian laws, a suspect is presumed innocent until proven guilty in a court of law.